ICYMI Is Meg's Stay In The BB17 House Coming To An End? Julia takes a seat next to Meg on the block. Vanessa had an extremely difficult choice to make: Would she uphold her promise to Johnny Mac by keeping him safe, or would she abandon his trust to prevent one of the Austin's other Angels from going on the block? The twins struggled to understand why Vanessa would want to use Julia as a pawn to evict the New York City slicker, noting that the rock-star dentist is a much bigger threat than #GrandmaMeg. While Vanessa agreed that Meg wasn't as big of a physical threat, she argued that hurting James would be what's best for their alliance and ultimately placed Julia on the block. Who will pack her belongings and head to the BB17 Jury House? Will Vanessa's decision ruin her relationship with Austwins? 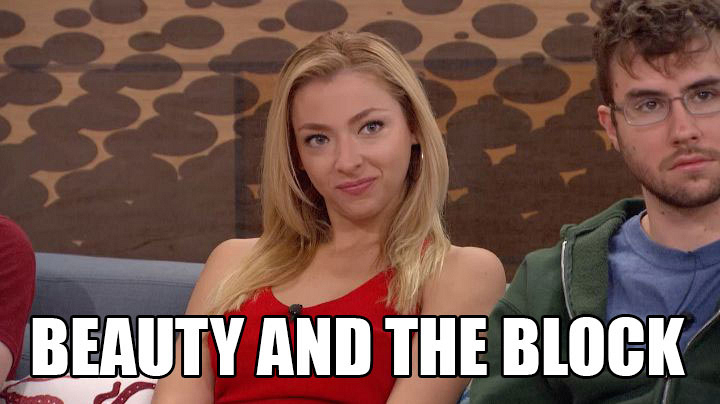 Find out Thursday on Big Brother!